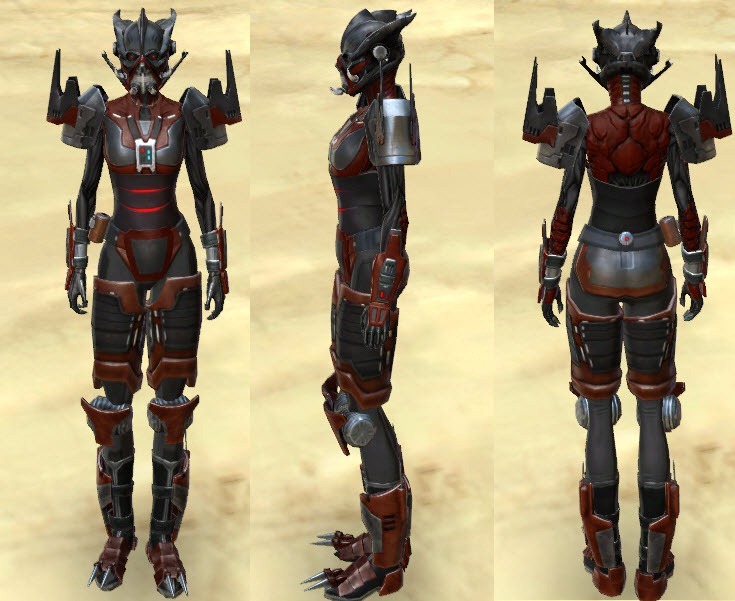 Before you can acquire these two armor sets, you will need to complete [Heroic 4] The Alchemy of Evil/Uprooting the Last Seed, the last mission of the Seeker Droid questline. 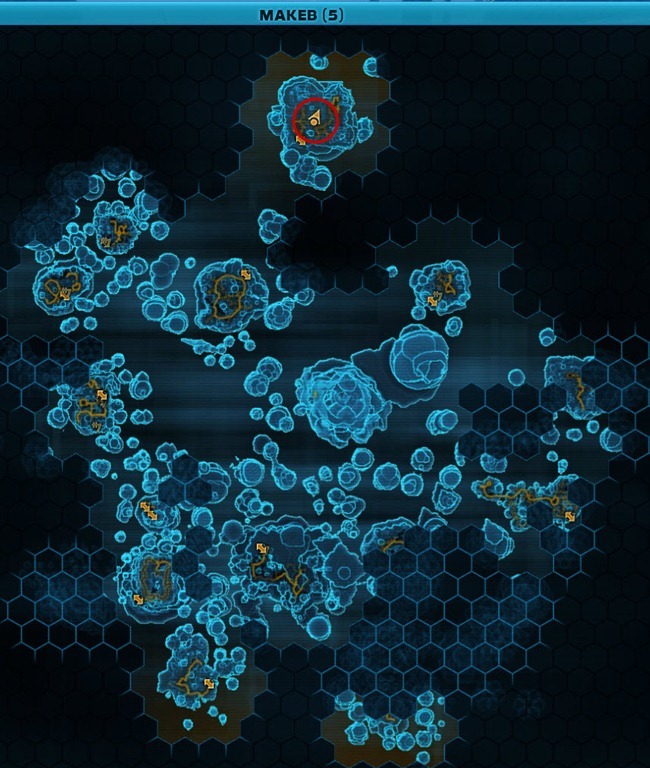 (If you have no clue what the Seeker Droid missions are all about, please consult this guide). 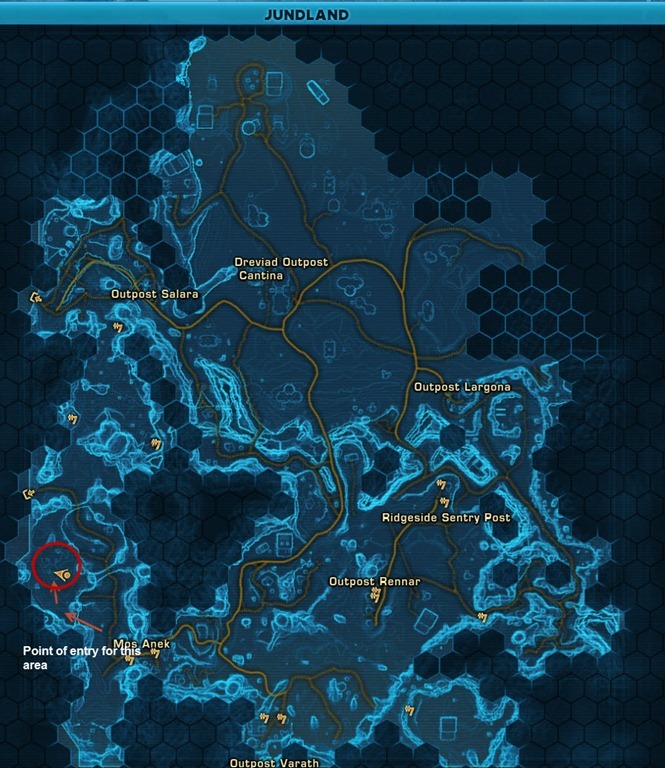 During this heroic mission, you get to choose between taking the Dreadseed armor set or the Star Forager set. Unless you click on the altar after defeating Lord Tagriss, you will get the Star Forager set by default so make sure to click on the altar if you want the Dreadseed set. Finishing this mission will reward you with the chest piece of the set and also allow you to dig other pieces of the set you chose in the four planets listed below. 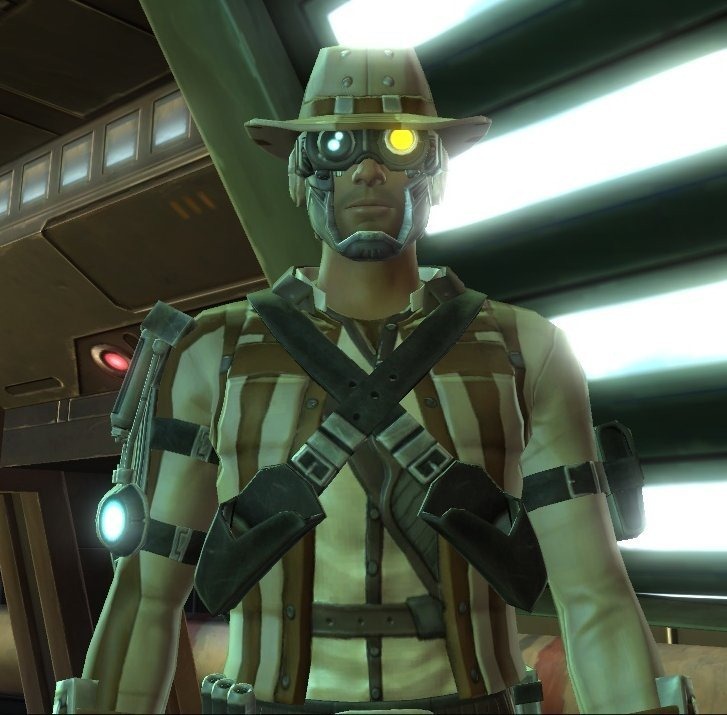 If you want to obtain pieces of the other armor set, you will need to do the Seeker Droid questline on a different character and pick a different choice. 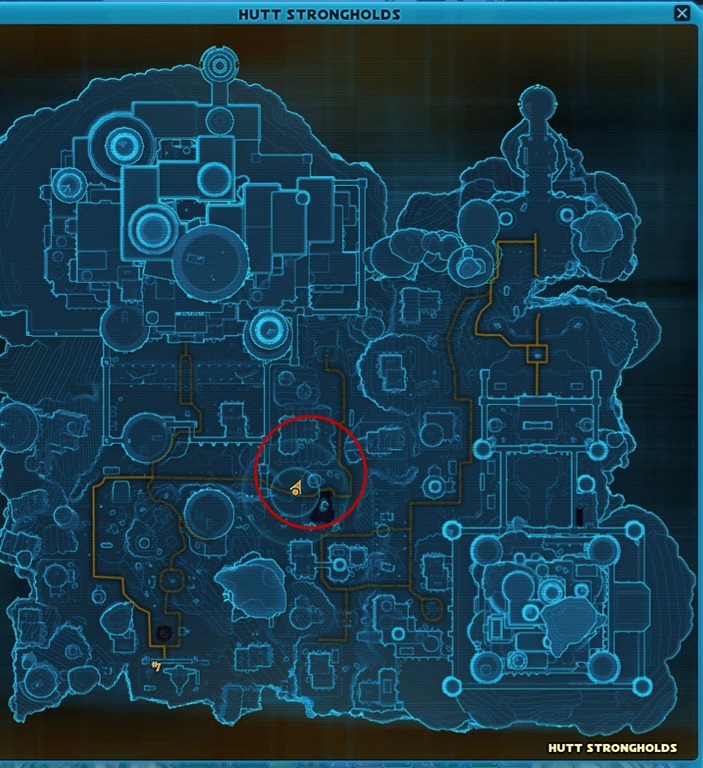 In other words, if you chose Dreadseed armor set, you can only dig up Dreadseed armor pieces using the seeker droids. 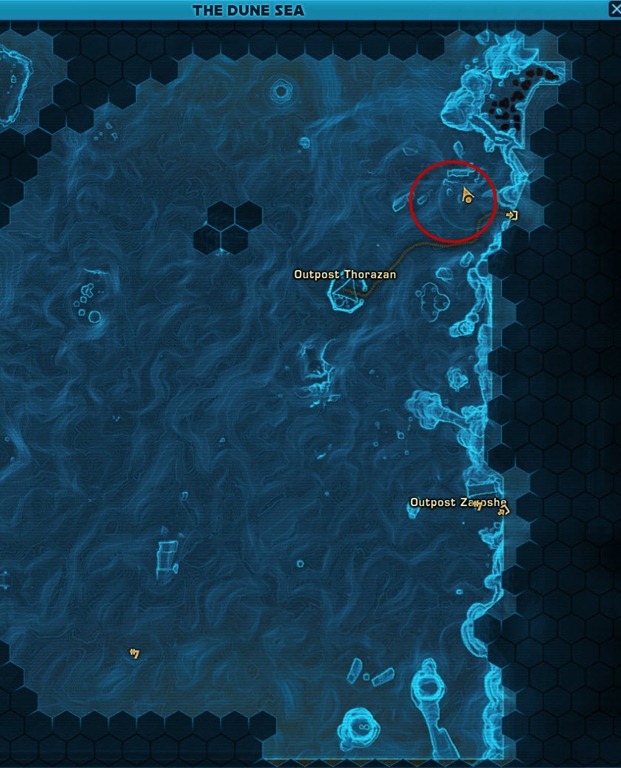 Each planet have a minimum of 3 dig spots. 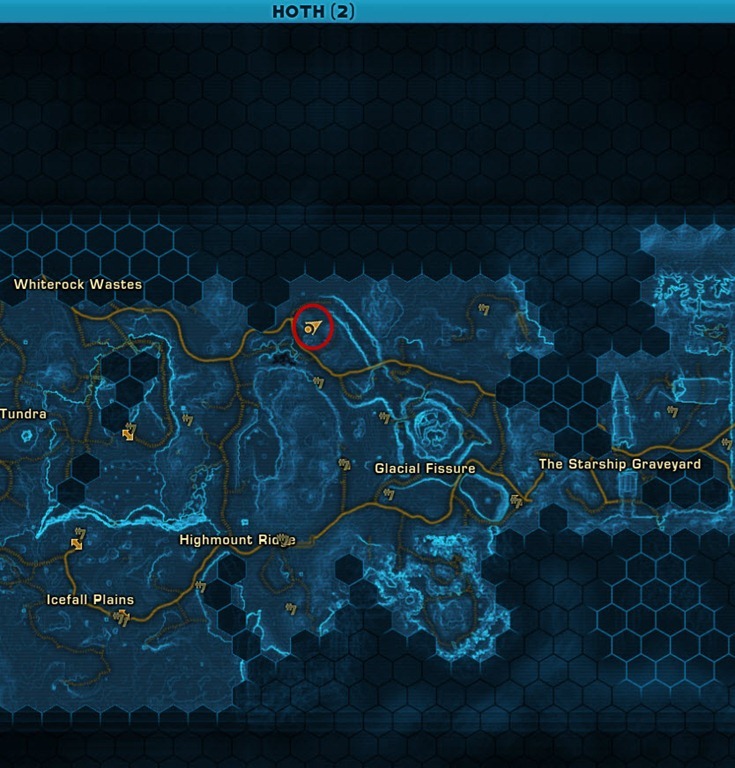 Some of these dig spots can be depleted if you or someone else find the rare item in that dig spot. 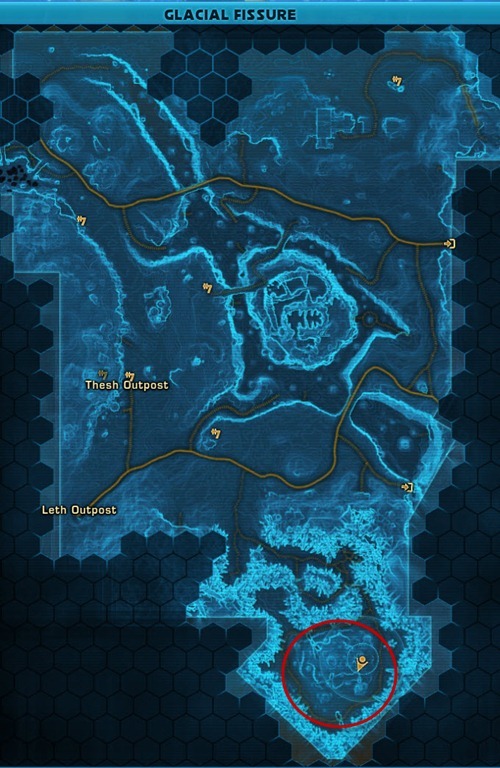 Once a dig spot is depleted, you can no longer use your Seeker Droid on that location and will need to either wait for it to respawn (can take a few hours) or move to another location. 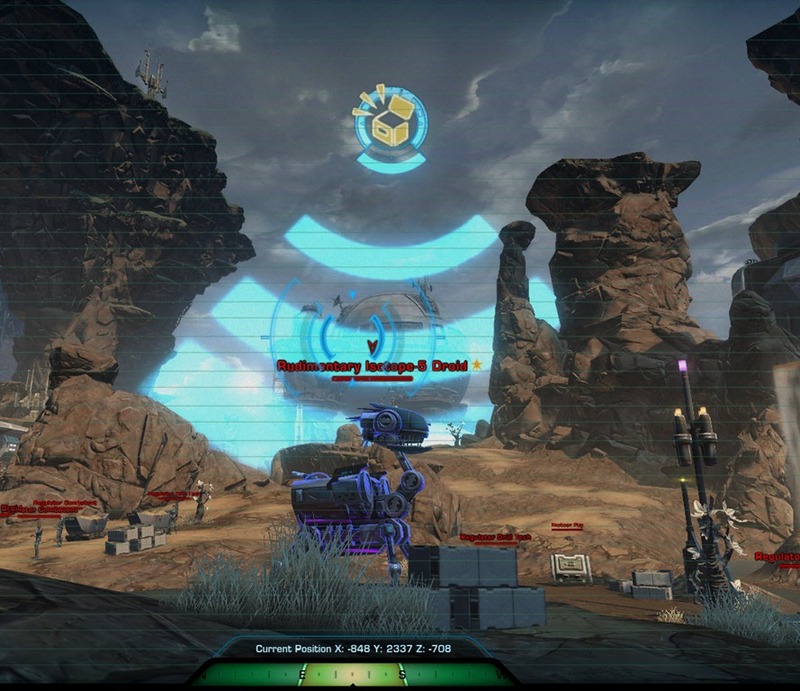 Dig spots are marked with a treasure box icon in the air if you scan over them with your Macrobinoculars. 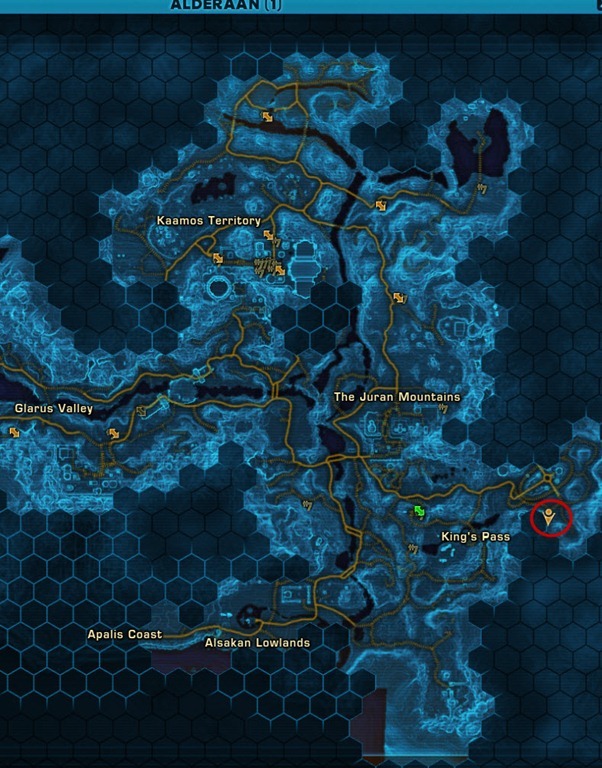 All of the digging spots in a planet will have a chance to yield the specific armor piece that planet contains. 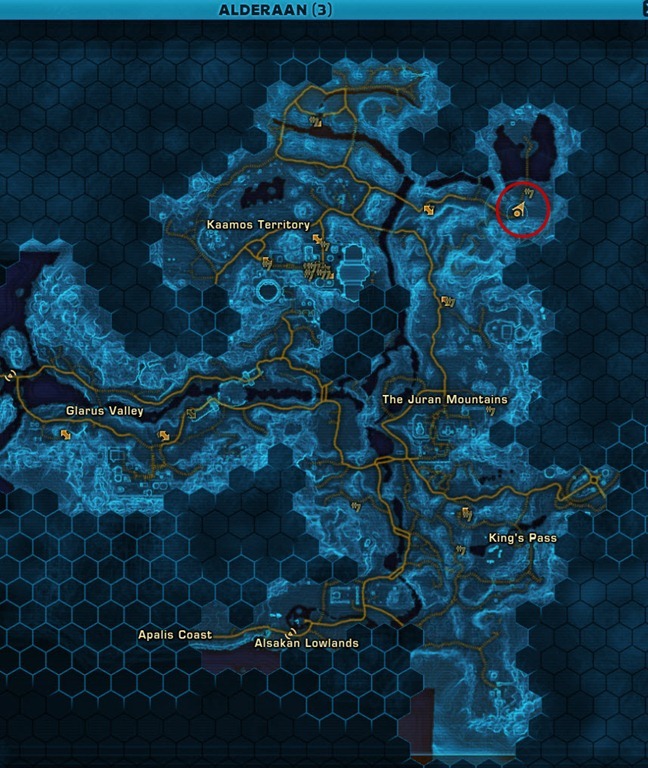 Each planet will contain two different armor pieces of the set. Be prepared to spend many many hours digging for these pieces. This is not something you can dig up in 5 minutes (unless you get lucky). 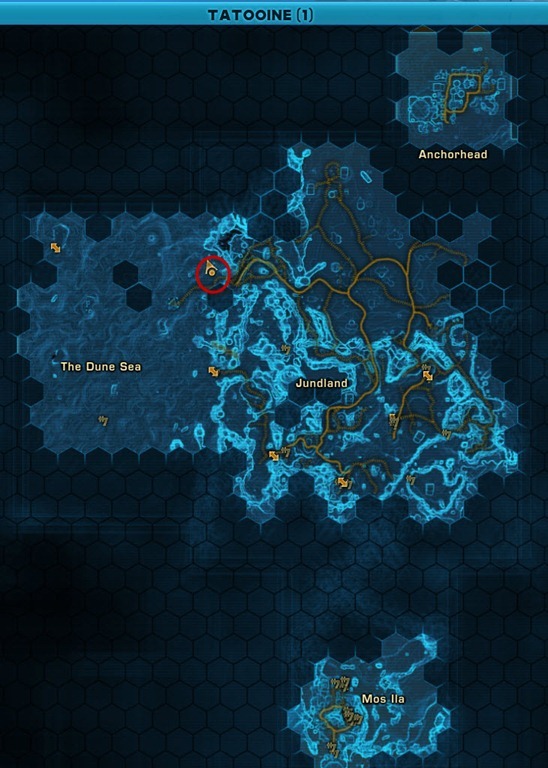 In addition to the armor pieces, you can find components for the GSI speeders, companion gifts, and reputation items so it is not a total waste of time. 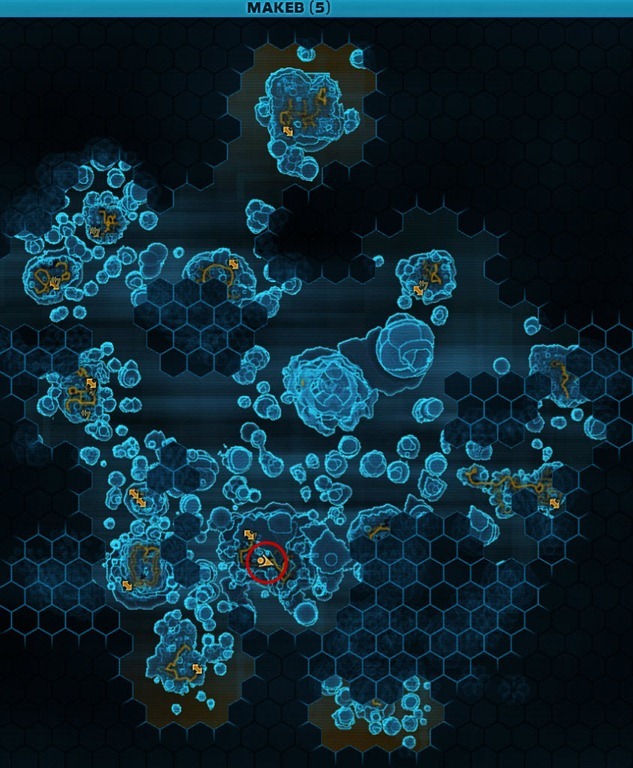 If you are looking for a digging site that can be depleted and it isn’t there, switch to another instance of the planet or use the other digging sites. 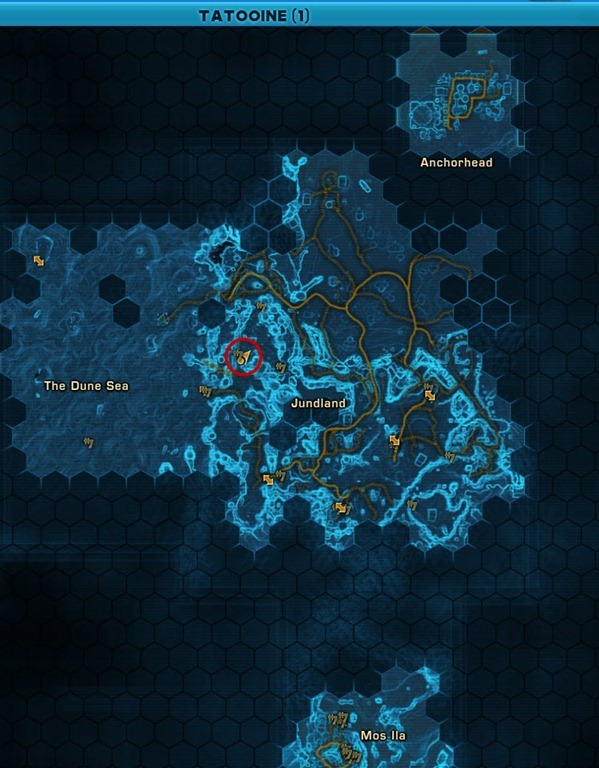 The difference between the two armor sets lies in their appearance, which is identical for both factions. 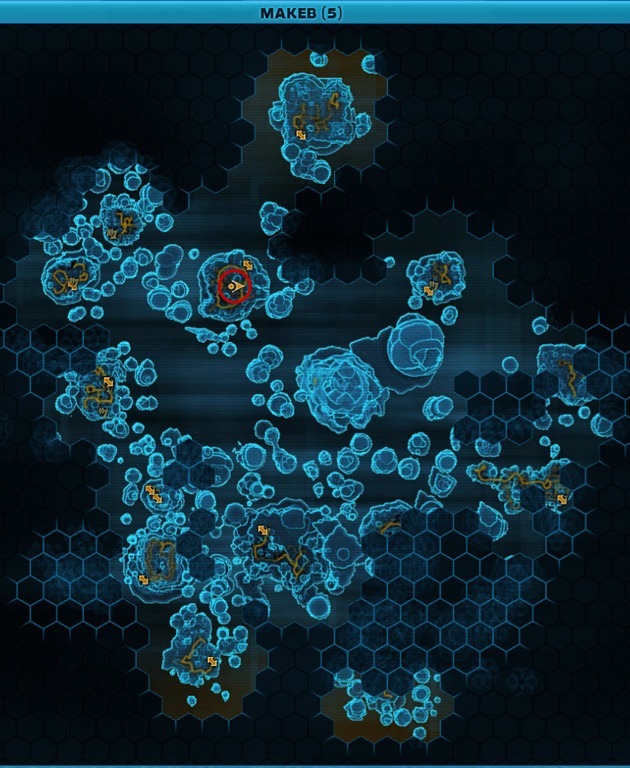 You can see images of set below (top set is Dreadseed, bottom set is Star Forager). Images of the complete set will be uploaded later. The entire armor set is adaptive and bound to legacy. 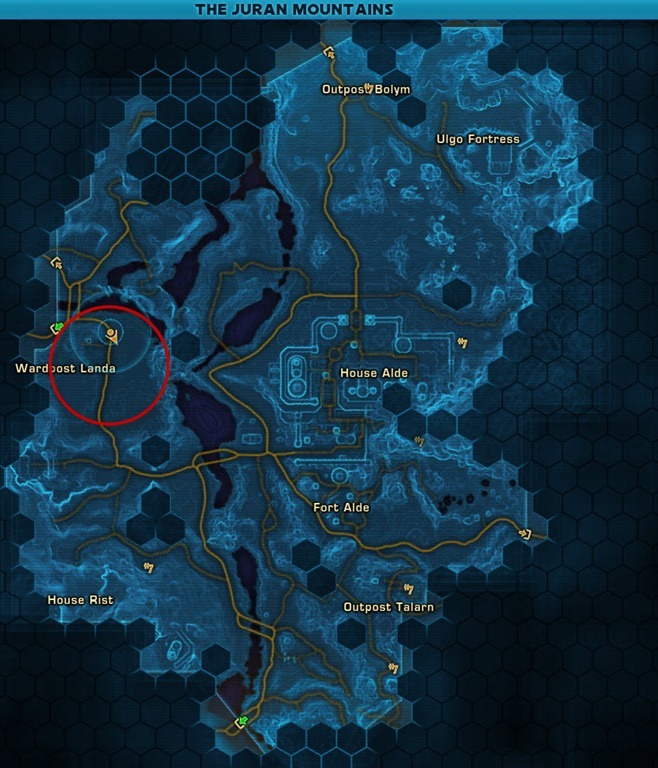 Location #1 – Juran Mountains near Wardpost Landa – This area will deplete once you or anyone else find the rare item in this area. 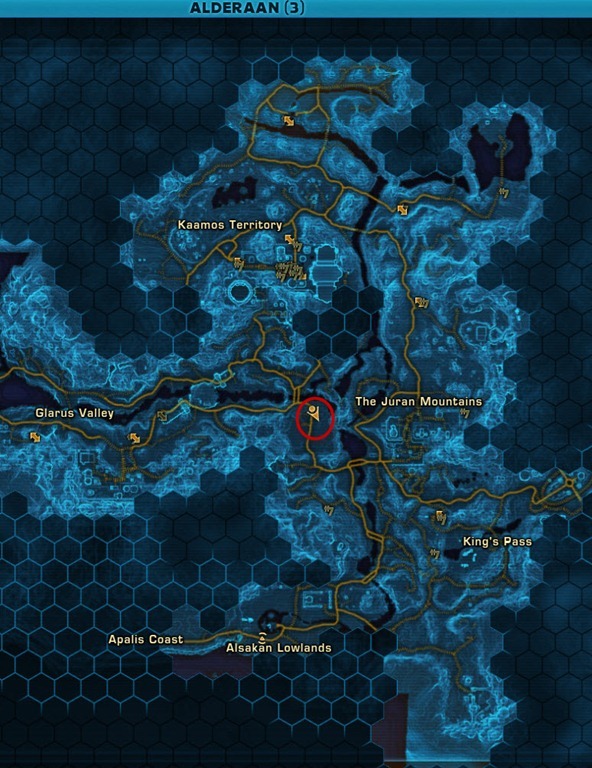 Location #2 – Lerantha Dam – Kaamos Territory (Imperial territory) – This area will deplete once you or anyone else find the rare item in this area. 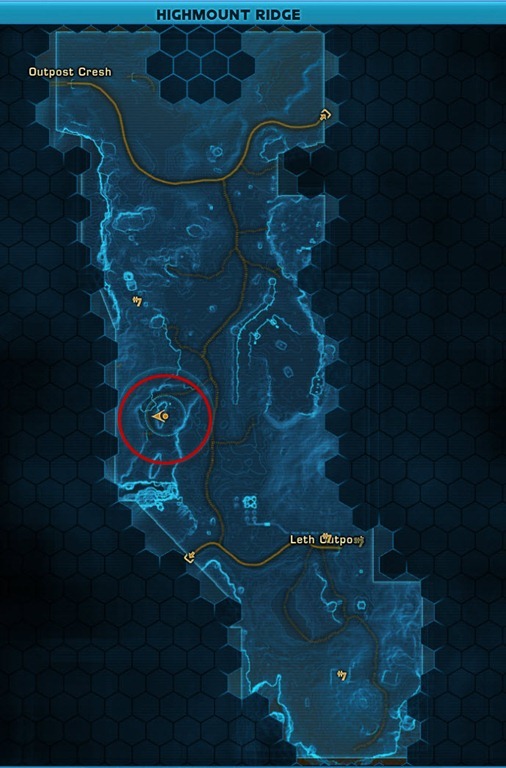 Location #3 – House Trader’s Circle – King’s Pass (Republic territory) – This area will deplete once you or anyone else find the rare item in this area. 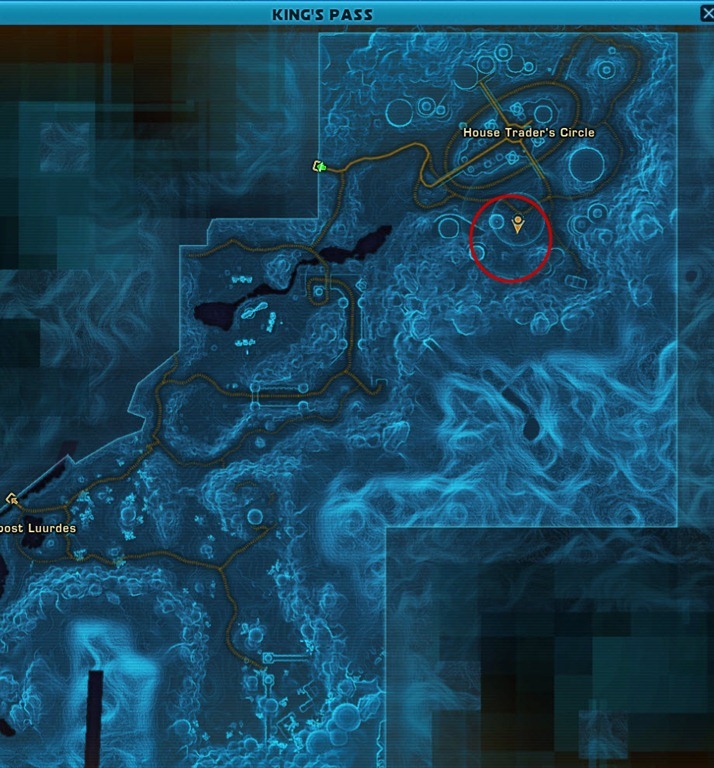 Location #1 – Outlaw’s Den – Jundland – This area will deplete once you or anyone else find the rare item in this area. 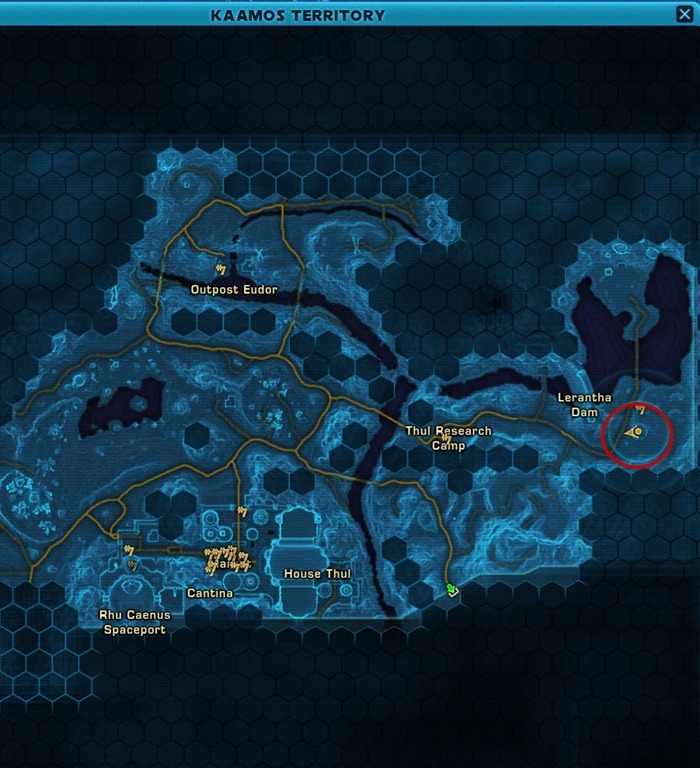 Location #2 – Transport Ship Wreck – Jundland – This area will deplete once you or anyone else find the rare item in this area. 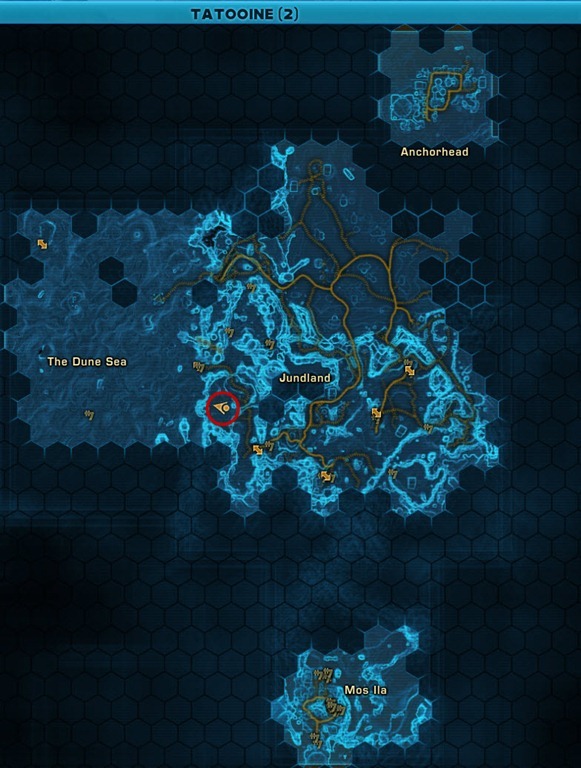 Location #3 – Wreck of the Stardream – The Dune Sea – This area will deplete once you or anyone else find the rare item in this area. 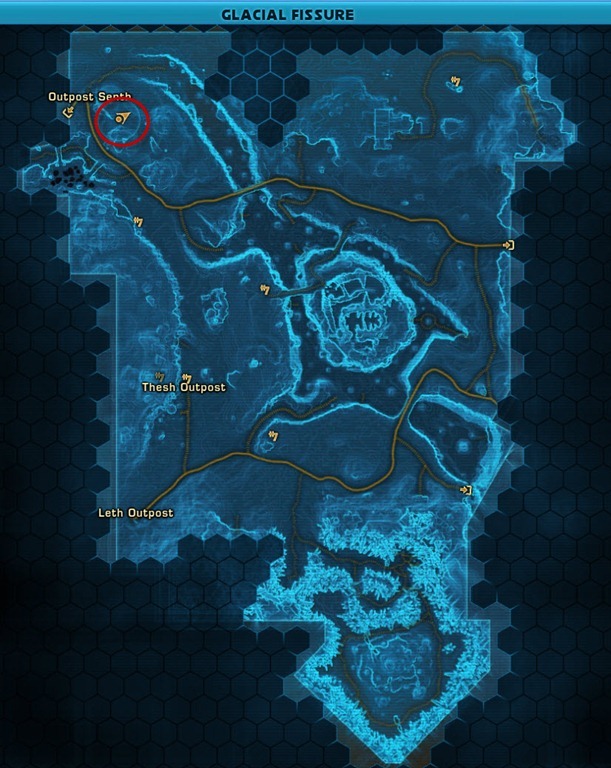 Location #1 – Volcanic area behind Snowblind – Glacial Fissure – This area will deplete once you or anyone else find the rare item in this area. 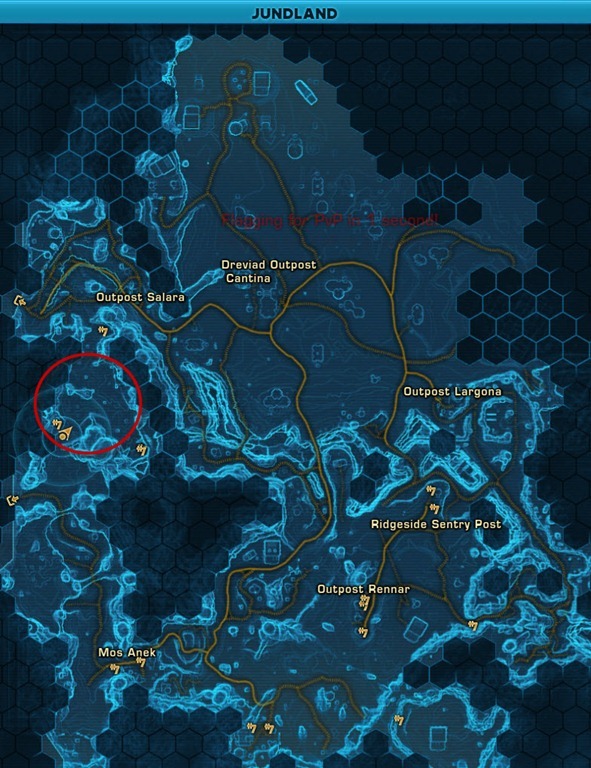 Location #2 – To the right of Outpost Senth (Republic Outpost) in NW corner of Glacial Fissure.This area will deplete once you or anyone else find the rare item in this area. 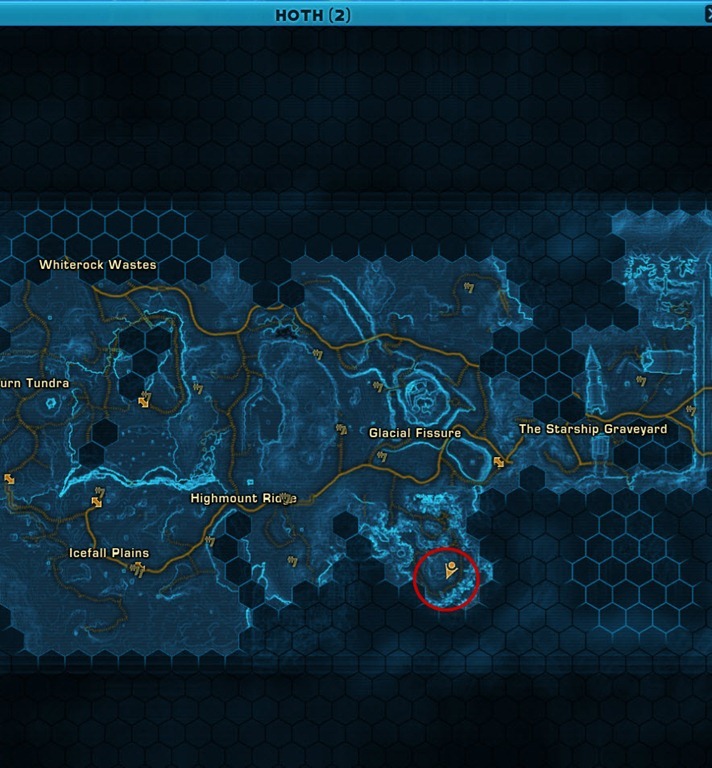 Location #3 – Highmount Ridge – This area will deplete once you or anyone else find the rare item in this area. 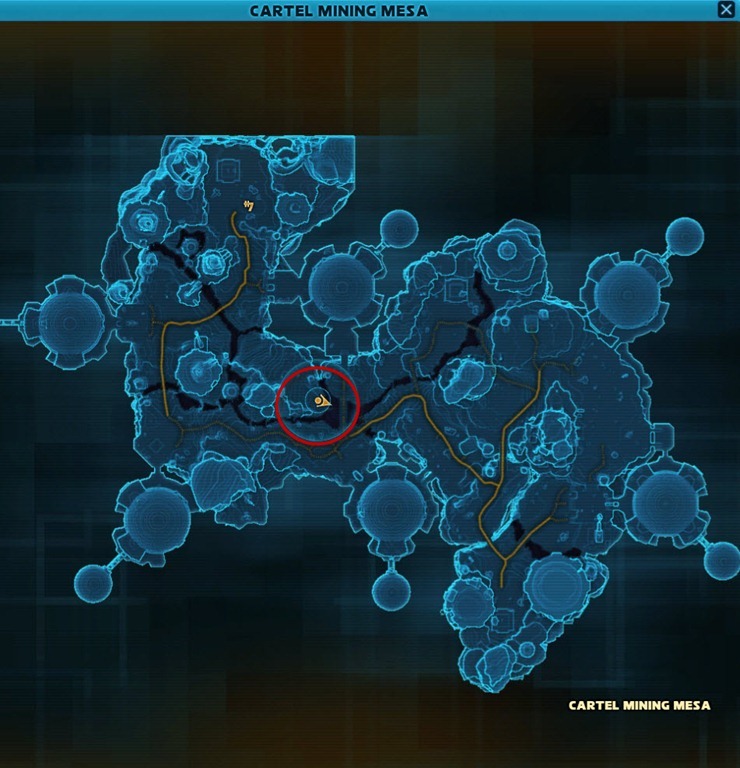 Location #1 – Cartel Mining Mesa – This area will deplete once you or anyone else find the rare item in this area. 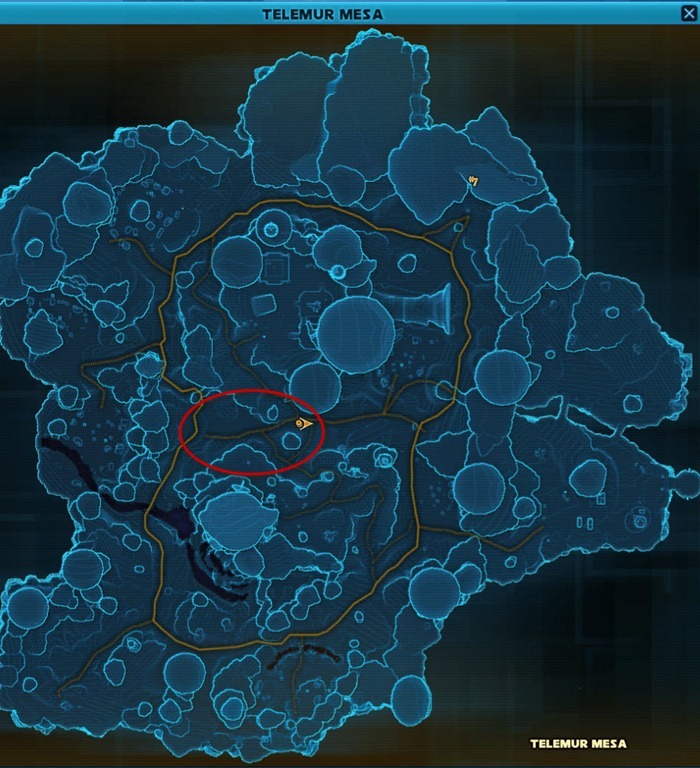 Location #2 – Telemur Mesa – This area will deplete once you or anyone else find the rare item in this area. 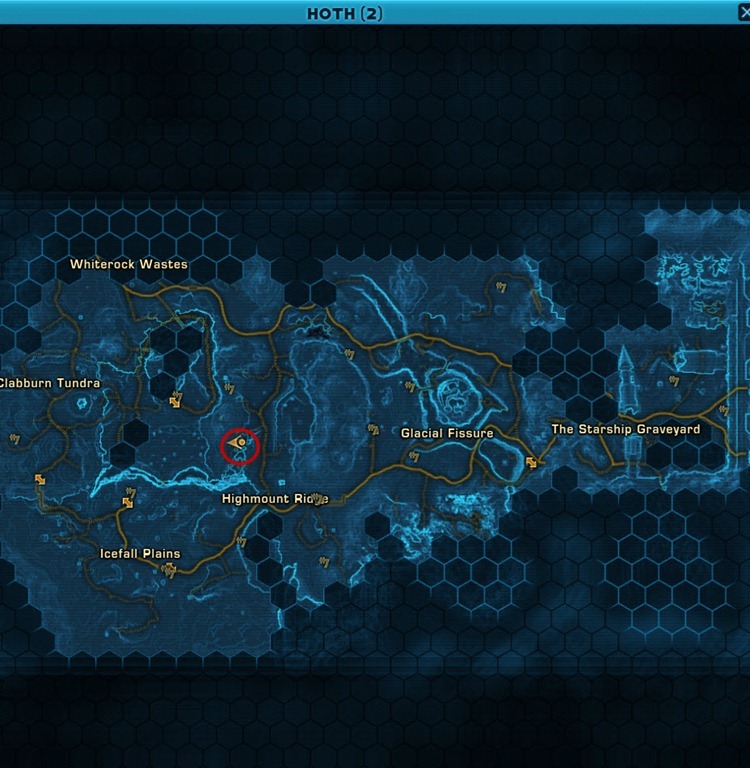 Location #3 – Hutt Strongholds – This area will deplete once you or anyone else find the rare item in this area.